Your wellbeing is paramount, and Philip Stein makes fashion history with Natural Frequency Technology bracelets from the Horizon collection that put that wellbeing first. This large icon is crafted in stainless steel and given a black finish. It can be fitted onto a single or wrap around leather bracelet in a color of your choice (sold separately) to give your the best fashion options, and the straps are interchangeable to match any outfit. Daily stressors are kept at bay with a Natural Frequency Technology disc embedded in the icon's case. 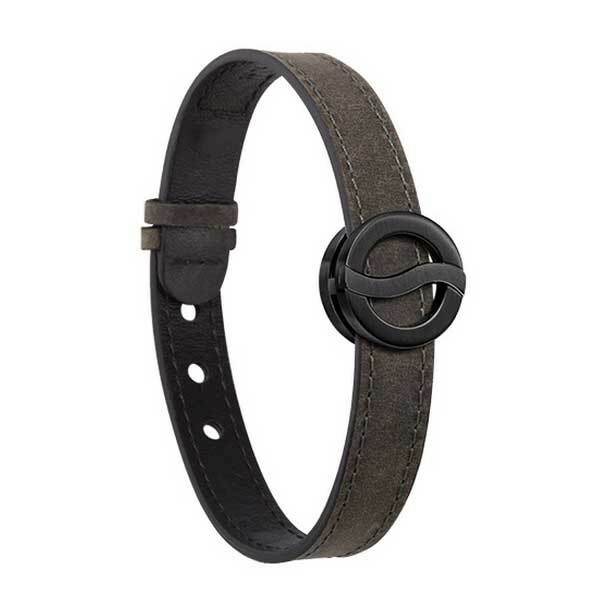 Why not be stylishly lighthearted whenever you wear this amazing Philip Stein bracelet?